Jan 31 – 15º winds from the southwest at 14 mph – – Robert Frost, horse sleighs, blizzards, and lap rugs | Poetry Blog: "A Work Day in Hard Times"
Twenty-some years ago, our university hosted the meeting of Jesuit national leaders (called “Provincials”). All the brass coming to our city was a pretty big deal for us. I can’t remember who organized logistics; whoever that was asked me if I could arrange an all afternoon event for them to show off The Greenfield Village, a world-famous historical park within the Henry Ford Museum & Greenfield Village complex. Technology and Culture, the international journal I edited then, was co-sponsored by the Ford Museum and we had our editorial offices there. It was not hard to ask Greenfield Village to arrange one of their 19th century sleigh rides for our group, horse-drawn sleighs on runners through the winter snows blanketing the Village at that time of the year. The village supplied us with 19th century “sleigh rugs” to keep our legs warm. We needed them too; a wind-swept blizzard turned the G Village into heavy magical snow riding the howling winds. Some of the Jesuits thought that afternoon was a blast, very fun to taste winter travel from c. 100 years before; other provincials emphasized the “blast” more than the “fun.” I love the memory and those courageous leaders who tackled the challenges facing The Society of Jesus three decades ago. I’d forgotten that we had posted “Stopping by a wood” once before, February 7, 2014. 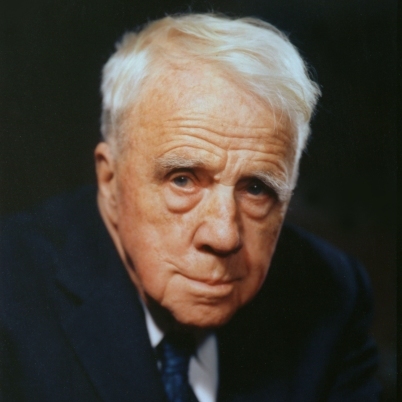 “This winter’s snow is acting like winter: demanding & labor-intense, wearisome. . As a help to transcending plodding through these days, here is an offering from Robert Frost, one of the great U.S. poets of the 20th century. ‘Stopping by Woods’ is one of his understated classics, exploring the tension between stillness and beauty vs commitments and weariness.